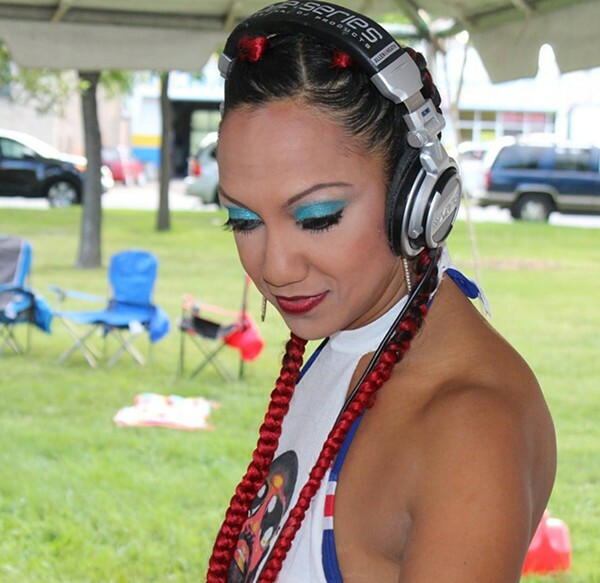 A series of events in the south-side neighborhood is rounded out by a panel and dance party devoted to house music. See chicagohumanities.org for more on the Wilkerson and house music events. On Friday, November 11, the Chicago Humanities Fest will be moving to Bronzeville to celebrate the south-side neighborhood that, due to real estate restrictions known as redlining, became the center of black life in Chicago during the Great Migration. Isabel Wilkerson, author of The Warmth of Other Suns, the definitive history of the Great Migration (and the greatest-ever Chicago book, at least as determined by the Reader's 2015 book tournament), will discuss Bronzeville's past and future with Natalie Y. Moore, author of The South Side: A Portrait of Chicago and American Segregation. Robbie Montgomery, who after her career as an Ikette opened up the legendary Saint Louis soul food palace Sweetie Pie's, will talk about her new cookbook with Bronzeville chef and caterer Clifford Rome. Poet Ross Gay will read from his collection Catalog of Unabashed Gratitude. Czarina Mirani first discovered house music in the 90s when she was a student at Northwestern studying dance with Joel Hall. "Joel would play house in his classes," she says. "A lot of Frankie Knuckles. I started falling in love with house through dance." In 2005, she decided that since she was out every night anyway, she might as well write about it. So she launched 5 magazine, which bills itself as the only magazine in North America devoted exclusively to house music. The publication has given her an ideal vantage point to observe how the scene has grown and changed over the years, and she'll be talking about it at Gallery Guichard with two house-music luminaries: Robert Williams and the man known variously as Curtis Jones, Cajmere, and DJ Green Velvet. Williams is a New Yorker who moved to Chicago in the late 70s and opened up the dance club the Warehouse in 1977; he invited his friend and fellow New Yorker Frankie Knuckles to perform there. Knuckles's DJ sets at the Warehouse are widely believed to have birthed house music. "He's going to talk about how he thinks house started," Mirani says, "and what it was like, what the parties were like, what a night at the Warehouse was like." Jones was part of the second wave. As Cajmere, his first big hit was "Coffee Pot (It's Time for the Percolator)," which Mirani calls "the classic Chicago house song." He adopted the DJ Green Velvet persona for spinning techno. "He's an enigma," Mirani says. "You don't hear him speak much. Usually he's on a high festival stage. I don't know if he's ever talked to Robert Williams before." For the first time, the festival will have the same theme all year long. The author of The Warmth of Other Suns talks about her admiration for Studs Terkel and Working and offers her own list of great Chicago books.